Last year, the KWC or Karaoke World Championship Philippines made amateur singers Lyda Shyla Roxas and Joel Cruz become world champion singers during the competition at Killarney, Ireland. One year have passed and the Search for the 2012 Filipino Karaoke Champions begin this August and here's the best part Amateur Singing Contest Champions from 2010 to May 2012 are invited to join the auditions for them to become world class quality performers. 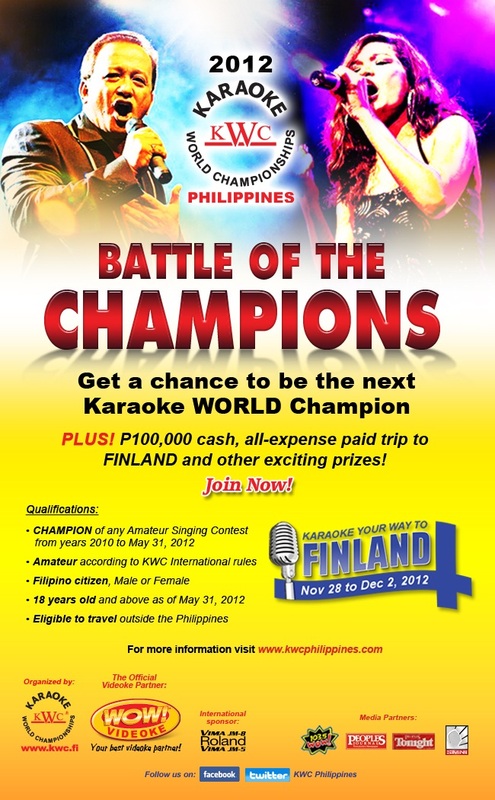 One male and one female will get a chance to be the next Karaoke World Champion and represent the Philippines in the 2012 KWC World Finals in Finland from November 28 to December 2. This year's theme is the Battle of the Champions for they are looking for singers who have competed and won for a local singing contest. This just proves that the Philippines will send off the creme-de-la-creme of the singing champs. Just like last year's rules, amateur singers according to KWC International Rules, 18 years old and above, Filipino citizen and eligible to travel outside the country are all entitled to join for the tryouts. All interested participants must register online at www.kwcphilippines.com to qualify for the audition proper. 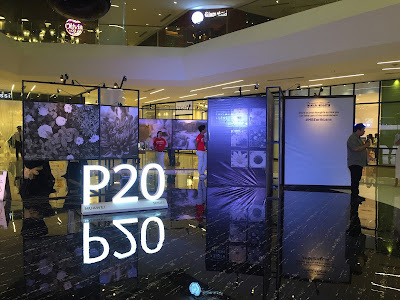 First Level Trials will be held in three key metro cities: Visayas (Cebu City) on August 17 and 18; Luzon (Metro Manila) on August 21 to 25 and Mindanao (Davao City) on August 31 and September 1. Exact audition venues will be announced soon and chosen male and female qualifiers will advance to the National Trials where it will be held in Metro Manila on September. Aside from the chance to compete at Finland and an all-expense paid trip on November, the 2012 KWC Philippine Champions will take home Php100, 000 cash and other exciting prizes. KWC is the biggest and most prestigious karaoke event started by Oy KWC Organization Ltd., Finland since 2003. Yearly, KWC brings together top amateur karaoke singers from more than 30 countries and provides the opportunity to showcase their amazing talents to the world. For more details, you can log on to www.kwcphilippines.com or visit the KWC Philippines Facebook community.